Yes again, a nugget of truth about the resiliency and creativity we hope to cultivate in our young activists as they face hurdles in their quest for a better world. LOTS of good things happening here at TGPP. We’ve been notified we’ll be one of the featured organizations at the Ben and Jerry’s Waterbury Tour. 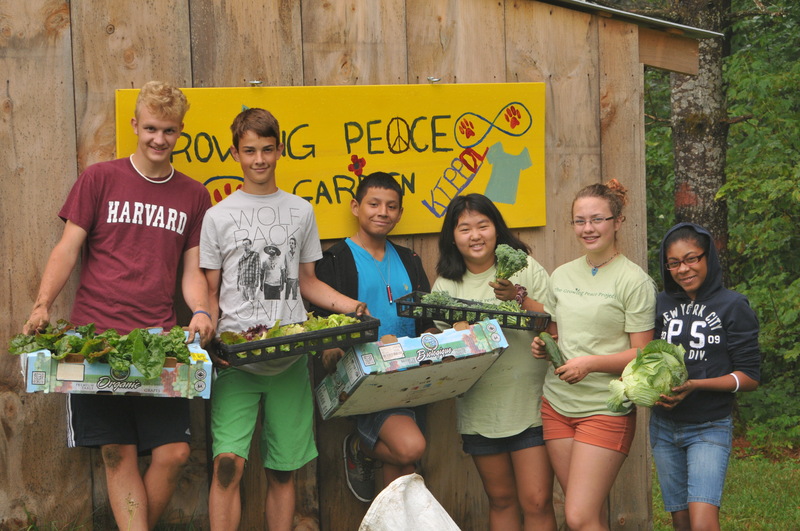 Our story will be in the VT Foodbank summer newsletter, we’ve been awarded a Sisters of Mercy Peace Award, and we’ve been invited to submit an article for the Common Good VT blog. Of course, plans for the retreat are in full swing. We’re lining up workshop presenters & our all-volunteer staff, securing lodging, planning meals, and developing program. Our theme – What Are You Hungry For? – is taking shape. I just had a conversation with Chris at the VT Foodbank, who will engage our group in activities that raise awareness about hunger and food insecurity. Our workshops will be designed for personal challenges and risk-taking, and both small & large group meetings will help our kids identify issues they care about in the world, and how to go about effecting positive change within their own spheres of influence. I am happy to contribute and support your wonderful cause and grateful that my daughter is welcome back again this year. Throughout the year she would often bring up something she learned during the retreat or mention a project they did. I could tell the experience remained close to her heart all year. Won’t you join us? Please donate* what you can, and spread the word. Thanks! *at this site or at our Indiegogo campaign ending Friday August 1!! 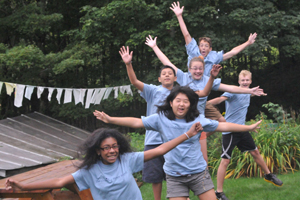 We’re gearing up for our annual 4-day student leadership retreat in August with an Indiegogo fundraiser to help us cover the transportation costs of bringing 25 students and teachers to Vermont. Very exciting! As you saw in the video, our retreat them this year is “What Are You Hungry For?” Our students collaborated across the country during this past school year, and will come together to strategize how to effect positive social change in their respective communities. Please help us help them to grow some peace in the world! A big focus of The Growing Peace Project is raising awareness about food insecurity, and doing our small part in helping to feed hungry people. Today, as I look out the window while a few snowflakes begin to fall, it’s nice to reflect on our free food garden and on our summer harvest helpers. For some, this is their first experience in a garden. 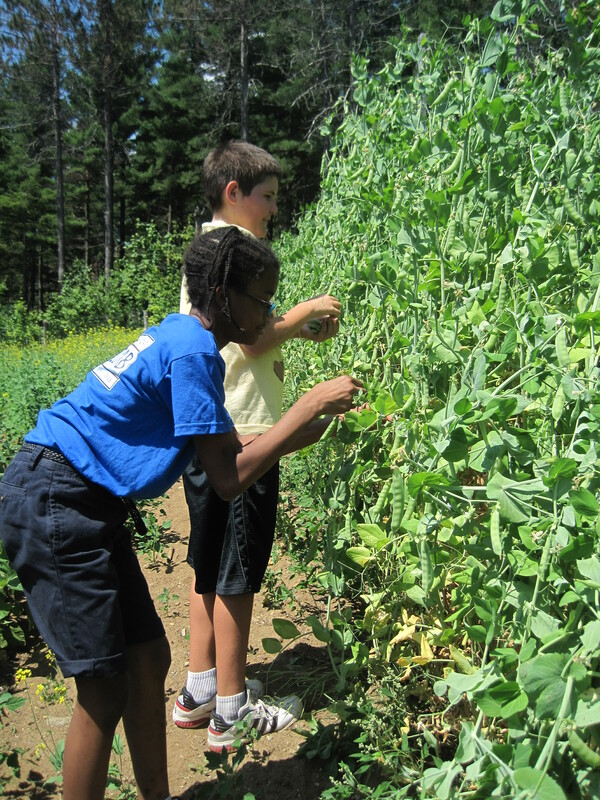 -Our Vermont and Minnesota schools continued to work together through letters, Skype, and their community projects. One school focused on climate change and global warming, and the other focused on bullying. They held an anti-bullying day at their school and educated the other students on where and how bullying happens. -We had a successful fundraising campaign that allowed us to fly 9 students and 2 teachers from Minnesota for our summer retreat. 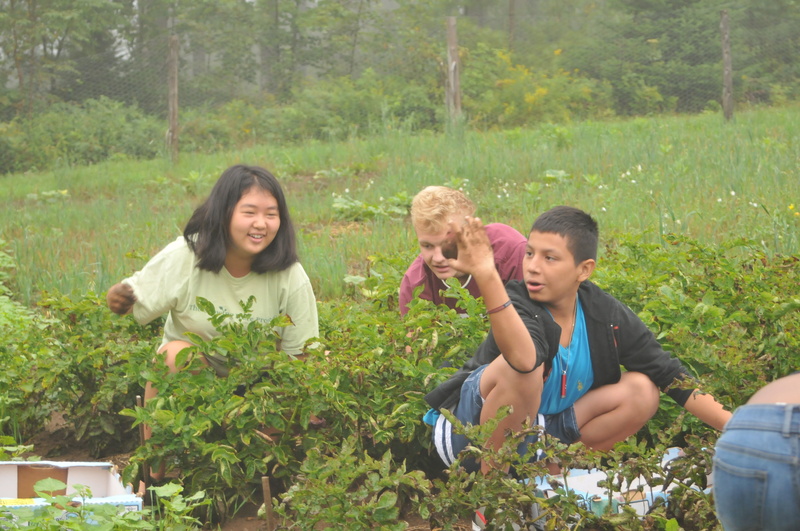 We were also able to host students from Virginia, New York, and of course Vermont. Funding is always a challenge; we hope to do a major campaign this year to help us become more self-sustaining. -The retreat was held in August. Our theme was “conflict” – internal, interpersonal, family, community, global. We held workshops, did role plays, and worked in small and large groups to better understand the nature of conflict and develop strategies for dealing with it. We added 3 pieces this year that were a big hit – a storyteller, a guest speaker, and a staff member all sharing experiences with conflict through spoken word and movement. See our Facebook page for some great photos! -When I started The Growing Peace Project my initial vision was that over time we would empower a cadre of student activists. At the 2013 retreat we had students returning for their 2nd and 3rd years, and they’re eager to participate in future leadership roles. It’s exciting to work with these students and watch them mature and take on issues that are important to them. -We invited our Minneapolis school to work with us for a second year. They’re collaborating this 2013-14 school year with a school in Houston, Texas. Both schools happen to be charters with similar goals and cultures, although their communities look very different. They have begun their letter exchanges and are just now beginning to think about social justice and issues in their communities. We have a Skype call planned for December/January. -I have been to Houston twice, first to meet the students and then to meet their parents. It was thoroughly enjoyable both times. Even though I already know many of the Minneapolis kids I hope to get to their school this year and see them on their home turf! -As I wrote in September we held our second annual retreat in August 2012. 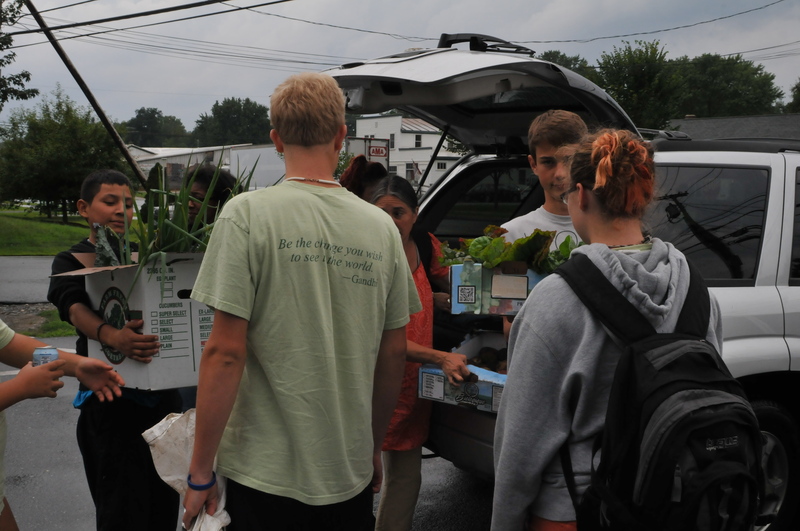 A group of returning students from Vermont and New York City spent four days engaged in “Food For Thought,” our program that explores poverty and food insecurity. -Our free food garden continued serving those in need. Students at the retreat helped harvest, and spent a day preparing meals at a local homeless shelter. 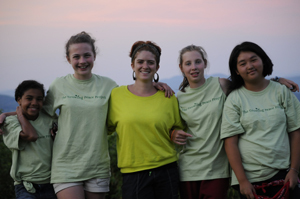 -Two new schools joined the project for 2012-2013: a Waldorf school in Vermont and a charter school in Minneapolis. They are currently in the early stages of collaborating online on community issues, and getting to know one another through a letter-writing exchange. -We took a field trip to the American Anthropological Association’s exhibit on race at ECHO science museum. The day was filled with thought-provoking information, images, and presentations. -We reached out to a middle school in Far Rockaway, Queens, NYC, hard hit by Hurricane Sandy. Our students are considering ways to best help the school and displaced families. 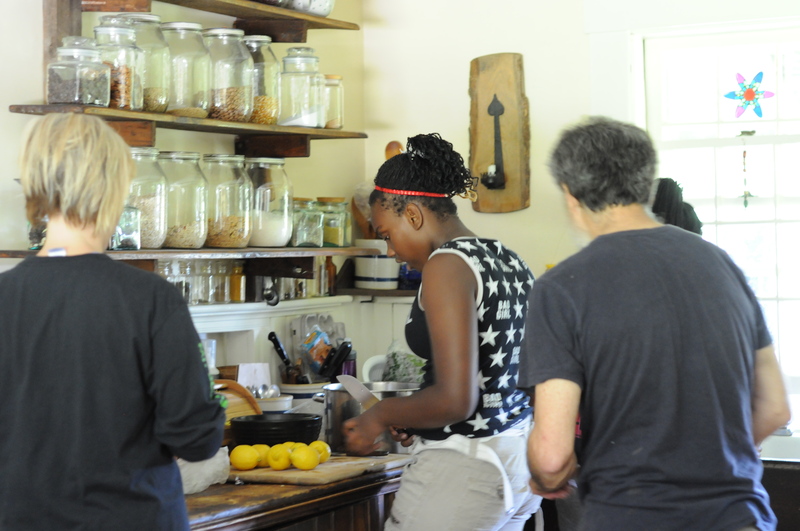 -We’re working on a curriculum for a series of family cooking classes, with an emphasis on healthy eating, garden produce, and nutritious, economical meals. -Thanks to Tori, one of our student activists, we now have a Facebook page. This is especially welcome, as it allows us to share our work with folks everywhere. Great idea, Tori! -We received the Sisters of Mercy Peace Award from St Michael’s College. 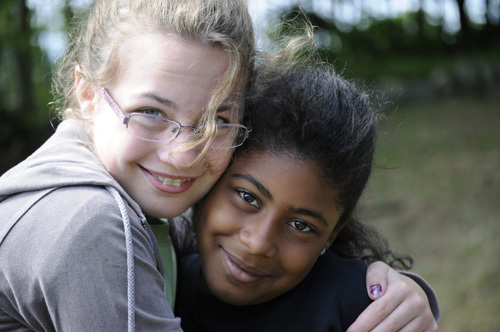 These grant funds will help us bring our Minneapolis students to our 2013 retreat. 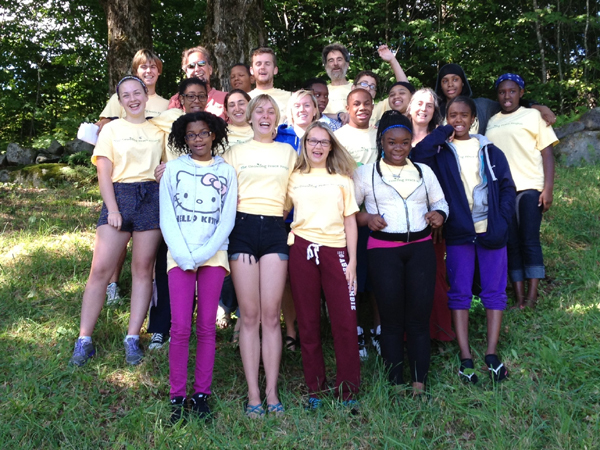 Our second annual student retreat was held four weeks ago, and I am still smiling from our success. What a wonderful experience for us all! In August we brought together six of the original cohort of students for our advanced retreat, where we focused on leadership and self-directed learning around the “Food For Thought” theme of hunger and food insecurity. Throughout the four days we considered this question: “Can there be peace in the world if people are hungry?” To put a real face on the issues participants helped harvest the Growing Peace garden (our free food garden dedicated to serving local community members in need), and took their produce to a local homeless shelter where they prepared a meal for guests. They also researched local and international organizations that work to alleviate hunger, and made a commitment to a project of their choosing. Each student left the retreat ready to implement a service learning project during the coming school year. For example, one student intends to raise money to support a meal packaging program through the organization Stop Hunger Now. Another intends to work with younger children to raise awareness about peace-making. Yet another is committed to disaster-relief volunteer opportunities. It was so good to work with these kids again. They are insightful, funny, hardworking, and really have a thirst for creating change in their communities. I consider myself lucky to have had the opportunity to guide them and learn from them during our retreat, and to continue to follow up with them throughout the year. I just heard from one of the kids who sent me a draft of her letter to her principal. asking for permission to hold a bake sale to support the Stop Hunger Now project. So excited for her! Yes, it’s so heartening to see kids take action in their communities. What an awesome group of young activists! The quote above has become our motto here at The Growing Peace Project. It inspires me to do my best work, informing my attitudes, decisions, and actions. And it keeps me believing in a just and humane world! The Growing Peace Project is now a program of Milestone Adventures, Inc, a registered 501(c)(3) nonprofit corporation with a seven-member Board of Directors. I’m excited to be working with a talented and committed group who do the hard work necessary to move us forward. Their contributions have been invaluable. 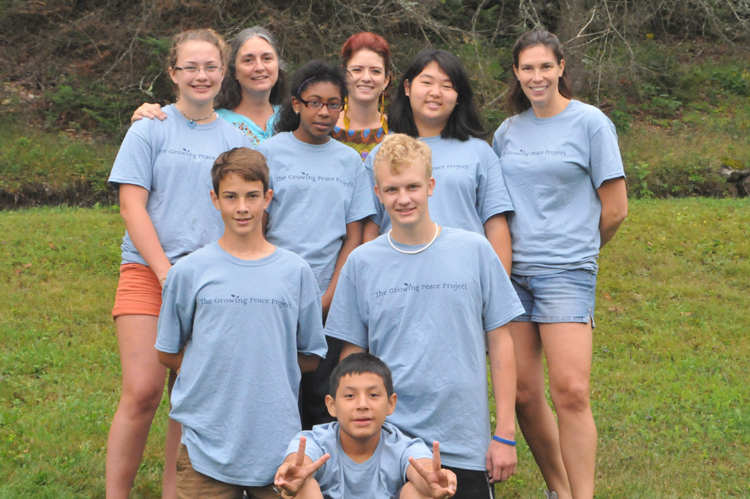 The 2010-2011 school year culminated in a student retreat held in July at my Vermont home and Growing Peace office. Sixteen students (eight from each school) were selected to spend four days together, where they considered their place in the world, thought about their relationships to each other and to society, addressed their responsibilities as citizens, and actively worked together to grow peace. These students took their retreat experiences and their work products back to their home schools and communities, where they are working this school year on leading their peers in addressing community issues of their choosing. 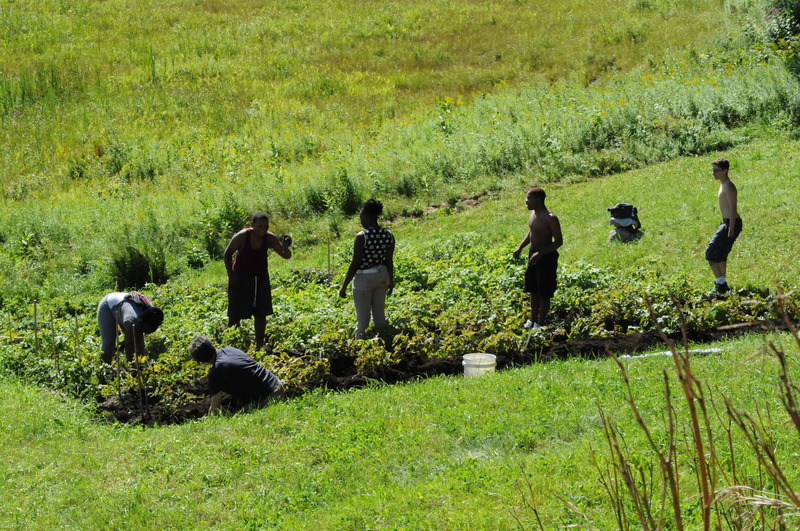 Another important facet of The Growing Peace Project is our free food garden. 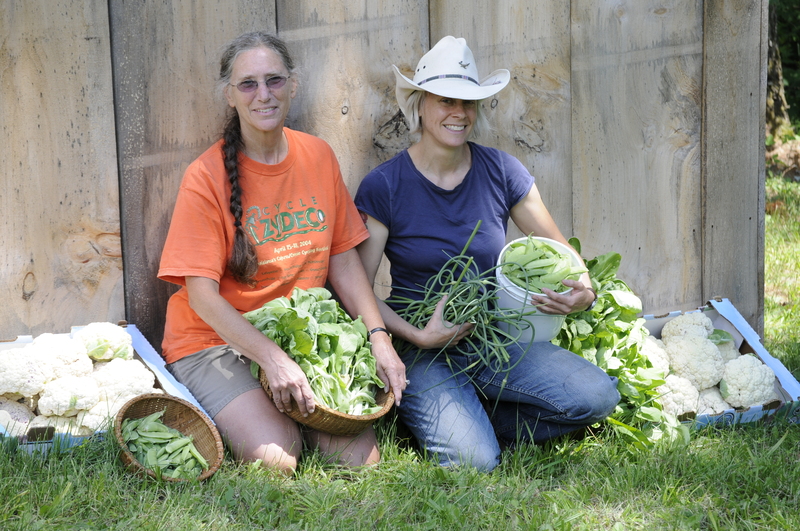 We’ve devoted nearly a half acre of land to growing food for people in need, which we donate to local families and to organizations that serve the needy. 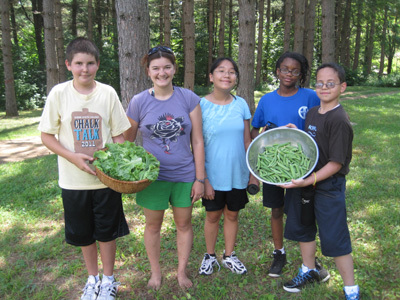 When the retreat students were here in July they helped maintain and harvest the garden. 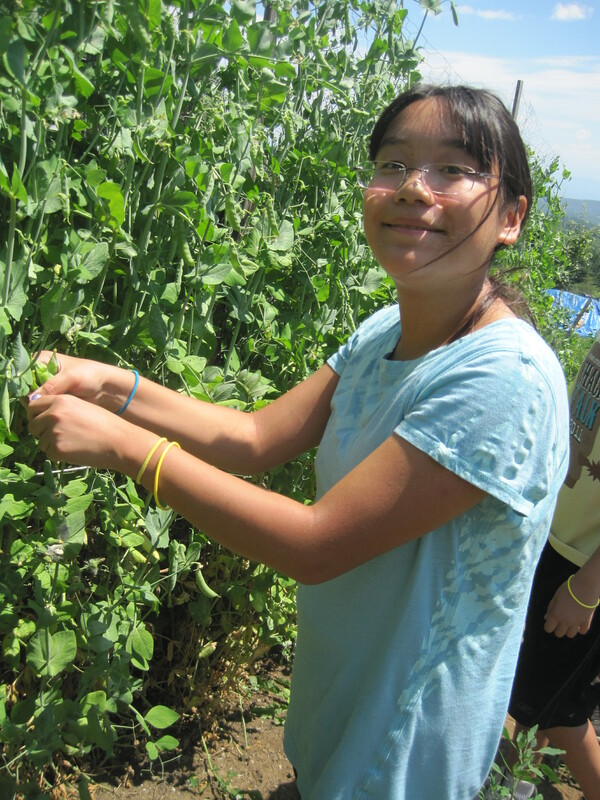 In the process they learned about organic gardening and healthy food choices, with the added benefit of bringing home a new awareness of serving their communities. In the summer of 2012 we will also partner with local youth organizations interested in supporting our garden, and will enlist their help in implementing a “plant-a-row” campaign and gleaning produce from area farms. 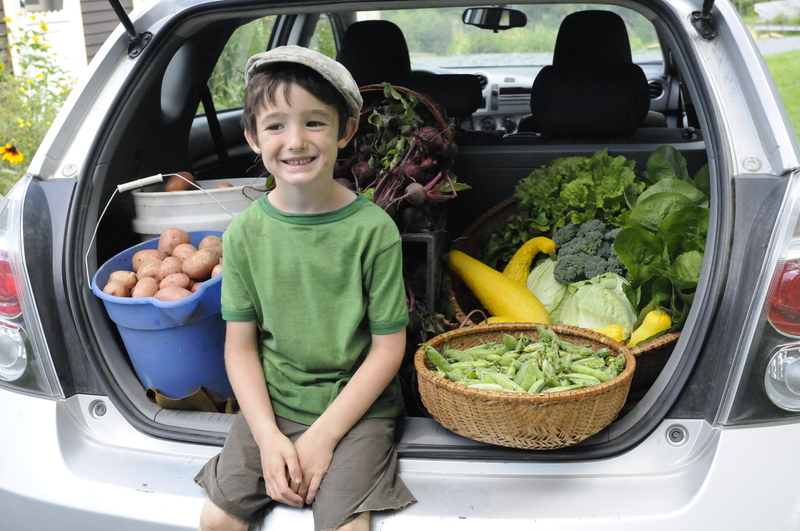 A long-range goal is to offer a series of food-related workshops for needy families, such as understanding the nutritional value of healthy foods, as well as preparing, processing, and storage. As we enter our second year of service we are excited to be working once again with our original cohort of students, who are fine-tuning the action plans they created at the retreat for implementation throughout this school year. Those students will be invited back for “Retreat 2” during summer 2012, where they will further their peacemaking and student activism skills, and help write curricula for future cohorts of students. They are also eager to help create a student blog that will provide a forum for young activists around the country to share their work with one another. In addition, I’m in communication with other schools interested in joining the project in the fall of 2012, and I’m keeping these potential partners informed throughout the coming year. Finally, to help us move our vision forward we are actively seeking grant funding and financial support from donors who believe in the work we do. 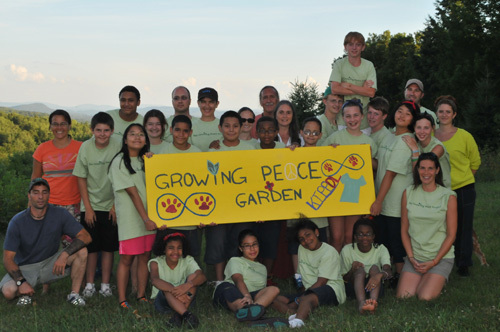 It’s a very exciting time for us here at The Growing Peace Project! Our students continue to make personal connections through pen pal letters to each other. Each student from one school is matched with a student from the other. They communicate through regularly-scheduled letter writing, where they have been learning about each others’ lives, schools, and communities. In this way they’re gaining an appreciation for how their respective communities inform their views and perspectives, and learning to break down stereotypes through greater insights into the whole of their pen pals’ lives. These interactions have been enhanced through their work in creating an online photo story, videotaping a school tour, whole-class Skype video calls, and personal reflections. Following videotaping of their community issues projects, the students formed small-group discussion forums via Moodle to address those issues. Together they generated five broad categories with subgroups – bullying (online, school, community), environment (littering, air pollution, deforestation, recycling), economy (losing jobs, homelessness, hunger, poverty), substance abuse (drugs, alcohol, smoking), and vandalism. These small groups meet online regularly to discuss the issues and how they impact their respective communities. It’s been an exciting and dynamic forum! We hope you’ll join in on the discussions. I was on my way to visit my father when I called my dear friend, 92-year-old Elizabeth “Weebie” Mapes Clark. I was eager to share with her my plans for The Growing Peace Project. I had had many conversations with Weebie in recent years about my desire to serve, and in typical gracious Weebie fashion she encouraged and applauded my vision. During the conversation we talked at length about our mutual dismay at the ills of the world – violence, hunger, injustice, hatred – and I could hear the sadness in her voice. I was reminded once again why I respect this woman so much. She embraces the whole world with her heart. She is the kindest person I know. I described to Weebie my vision of bringing together kids from different backgrounds to learn about each other’s cultures and to problem solve around social justice issues. I also told her about my plans for a leadership retreat to be held on our land. When I explained that I was working with a school in Harlem she eagerly revealed that her very first campers nearly 40 years ago were from there as well. I felt that things were somehow coming full circle, and I took it as a sign that my vision would manifest. You see, Weebie owned the VT property that Robert and I first rented in 1977. Thirty-three years later we live there still, having bought the place from her a number of years ago. 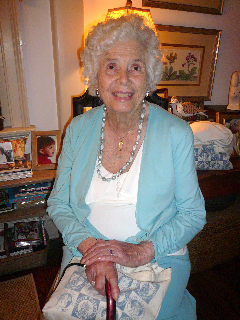 At the time of our arrival she was still involved with the New Haven YWCA, where, in the footsteps of her mother before her, she volunteered and ran programs for over 50 years. 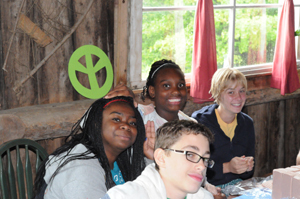 During that time she arranged for urban kids involved in the Y to come to her VT property for summer camp. I remember clearly those early years listening to the excited squeals of city kids playing in the woods and ponds for the first time in their lives. I think I took for granted that country life was the one I chose for my own family, but hearing those other kids play taught me the power of pure joy that romping over the land can hold. For more than 30 years Weebie has been both inspiration and vital role model . So it is to her that I dedicate The Growing Peace Project. I hope to do justice to the profoundly important role she has played in my life. I know I have very big shoes to fill. I am so humbled and so grateful to be a part of something so much bigger than myself…I eagerly look forward to continuing to help make Growing Peace a reality for kids, and in doing so learn a thing or two from amazing women such as yourselves along the way. Thank you for sharing this beautiful history. Amanda, I’m thrilled to have your participation in this project! Your work with kids is inspiring. Thanks for the kind words. You are doing good things in the world! It’s inspiring. Thank you, Angelina. I appreciate the support!